It’s so hot. If we sleep in the living room with the air conditioner, which I tried last night, the cat swaggers around all night yowling that she would like to picnic on some crunchies, please. Cats don’t swagger, you say. You tell me that they tiptoe, or gallop, or pounce. I can’t argue with you. I am far too tired to argue with you. Here. Here is a kibble picnic; can we stop arguing now? Me, I was not a sunny bunny over night. However, during the 20 or so minutes that I actually slept, I had a tiny dream so shot through with delight that it may have been worth it. The plot was short and sweet. My friend Jesse had won the lottery. For the third time! Or maybe he was a scratch-off addict, because his prize was actually only $200. But Jesse is a real sunny bunny, and he has this very unusual quality wherein he acts like everything is awesome. He is the only person I know of who rode a white steed to his wedding ceremony in Kenya, whilst wearing a turban. See? Everything is awesome. With his dream windfall, he and his wife were going to open a restaurant. The only thing is, they’d need to keep the restaurant simple, since the budget was so tiny. And that is where the idea for Coldcab Cookieduck was born. Hence the name. Somehow I really love that name for a restaurant. And I have to say, just dreaming up Coldcab Cookieduck turned me back into a sunny bunny. This post is approximately 700 words shorter than most. Maybe this is exciting for you! Or maybe you want to read some more. Read more about how much I like to sleep and how much the cat tries to flout me, here. Or read about the other best thing I ever invented in my sleep here. Or watch a skit about a much worse restaurant conceit than Coldcab Cookieduck here. please post every single day. twice a day wouldn’t even be too much! Open the restaurant, please. It is brilliant. 2/3 of these items will be my dinner tonight. 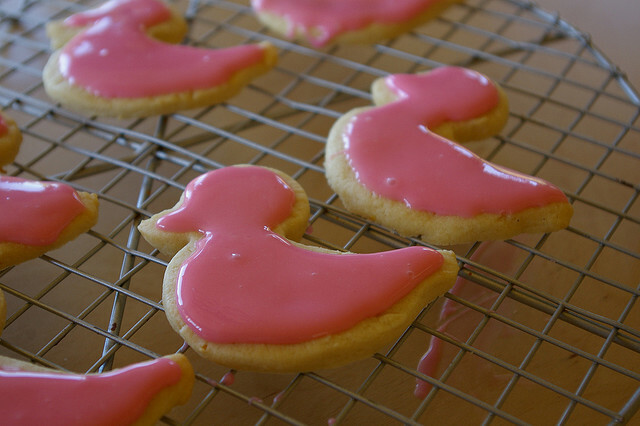 Oh, now I want some ColdCabCookieDuck! !